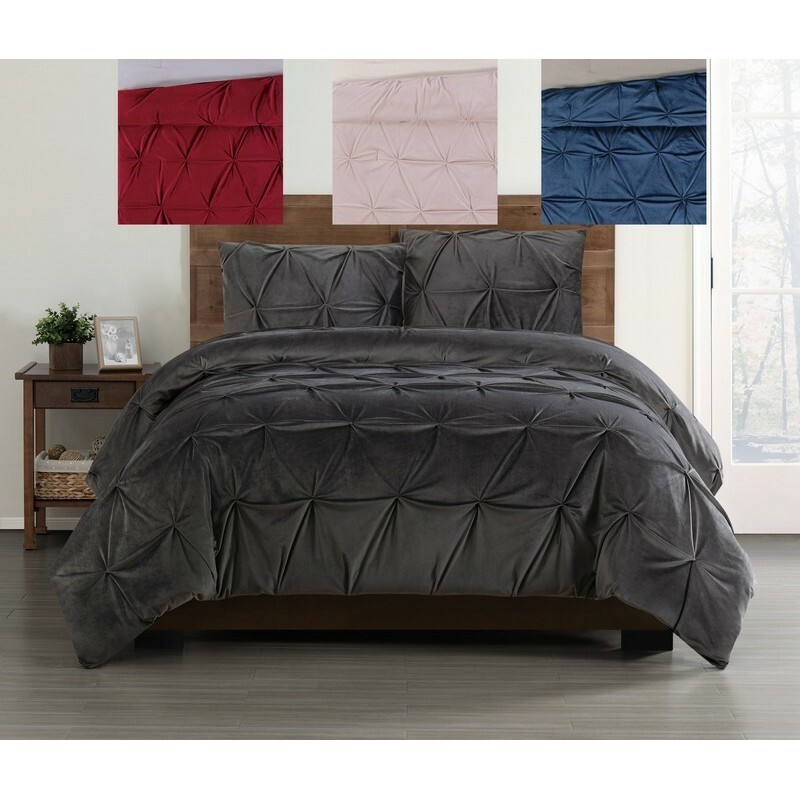 From the leader in velvet bedding, this new twist on plush bedding combines crystal velvet face cloth with a surface pleated texture to give you outstanding warmth and fashion for your bedroom. The crystal velvet face has an amazingly soft hand you will want to stay snuggled up in all day and the pleated finish is a great coordinate to a variety of rooms. Each set comes with coordinating pillow shams so you have all you need for a master bedroom or dorm. The duvet cover can be removed from your down or down alternative comforter (sold separately) and can be machine washed.